blmfinderskeepers_8 has no other items for sale. Details about 10 out of 12 Limited Edition "Russian Legends" Collection Plate Set. 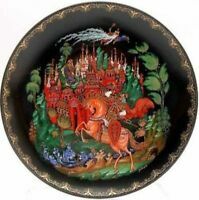 10 out of 12 Limited Edition "Russian Legends" Collection Plate Set.